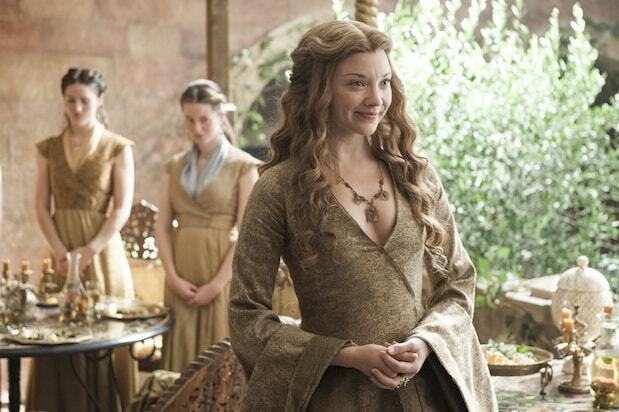 “Game of Thrones” alum Natalie Dormer has a new gig in fantasy land. According to Entertainment Weekly, the book is published by Pottermore Publishing and reveals hidden stories from throughout magic’s history and how some of its ancient objects, manuscripts, and spells influenced Potter author J.K. Rowling in her creation of the epic series. “I’ve always adored the Harry Potter books, but it wasn’t until I started speaking with the British Library’s curators — hearing about the various myths, legends, and cultures that have helped shape the wizarding world — that I really began to appreciate the richness and depth of J. K. Rowling’s writing,” Dormer told EW. With the new Harry Potter prequel "Fantastic Beasts and Where to Find Them" set to expand the wizarding world's mythos, take a moment to gaze into the Pensieve and remind yourself of the series so far. The franchise didn't put its best foot forward, but Chris Columbus' "Sorcerer's Stone" -- which both detractors and admirers point to as being more faithful to its source material than any other Harry Potter movie, hence the protracted running time -- was only a momentary stumble. In hindsight, it's also something of a relief: The series gets so dark that starting off on a syrupy-sweet note feels like a small gift. Almost every Harry Potter film works better as part of a series than it does on its own, "Deathly Hallows — Part 1" especially. The first half of the finale has some of the franchise's most moving moments -- Hedwig, he hardly knew ye; you were a good elf, Dobby — but it simply doesn't function as a standalone film. It's also responsible for the unfortunate trend of splitting books into two or more movies, which has since been mimicked by "Twilight," "The Hunger Games" and "The Hobbit." In some senses, "Order of the Phoenix" is a victim of its own success: Much of it revolves around Dolores Umbridge (Imelda Staunton), who's far and away the most hateable character in the franchise. David Yates, who directed the last four Harry Potter movies, occasionally lags on his way to the third act of his first outing. But that finale gives perhaps the most moving, complete sense of the life-and-death stakes of Harry and Voldemort's conflict. The spinoff remains true to the spirit of its source material while also differentiating itself. Though we still don't know much about either our new hero, Eddie Redmayne's Newt Scamander, the film itself marks a welcome return to an immersive fictional world. Set in a time (the 1920s) and place (America) that Harry Potter never explored, "Fantastic Beasts" is worth seeking out. What's sometimes forgotten about the sentimental first two films is that, unlike later entries, they feel like complete stories. "Chamber of Secrets" suffers from some of the same problems as its predecessor, but it also has the advantage of a more compelling, puzzle-like story. Voldemort takes on many forms throughout the series, and here, as a 16-year-old preserved in memory, he shows his most human face. The true turning point in the series, "Goblet of Fire" makes good on the promise of "Sorcerer's Stone" that the innocent are the first victims. There were always signs that this is a darker world than it initially appears to be, but until the fourth book (and Mike Newell's film) the forces of evil are held at bay. Once loosed, things change forever. That coda (which, to be fair, is lifted directly from the book) needs to go, and it makes little sense that a two-part film based on one book can't find the time to give three significant characters onscreen deaths. Even so, the final film expands the series' narrative frame and ties its threads together with true elegance — especially regarding Alan Rickman's Snape, who emerges here as Rowling's best, most tragic character. The dynamic between Harry and Dumbledore finally moves to the fore in "Half-Blood Prince," a movie that enriches its own present-tense narrative by looking into the past and showing how it came to be. Tonally similar to the other late entries but narratively superior, it manages to come across as a self-contained work. Positioned between the sentimental entries directed by Chris Columbus and the bleaker chapters that followed, "Prisoner of Azkaban" achieves a near-perfect balance between light and dark, good and evil. It helps that the source material is so strong -- the arrival of Remus Lupin, Sirius Black, and the Patronus charm are all highlights -- as does the fact that Alfonso Cuarón graced the series with his singular vision before directing "Children of Men" and "Gravity." It's the entire Harry Potter phenomenon in microcosm: coming of age but not yet fully grown, dark but not despairing, and a needed reminder that, even in trying times, a sense of wonderment is as powerful as any spell. 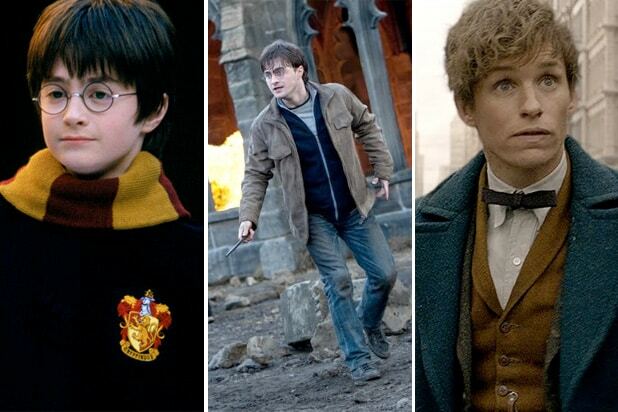 How does “Fantastic Beasts and Where to Find Them” stack up to the rest of the Harry Potter onscreen saga?